ComBiNE is composed of two phases: Phase I “ComBiNE Fast” aims for the creation of a wireless bidirectional neural interface and for efficiently exploring it in closed-loop in vivo experiments. 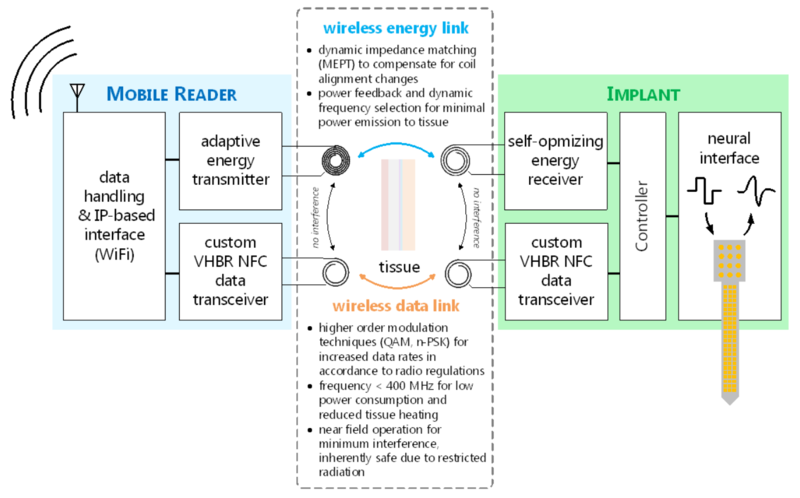 Phase II “ComBiNE Advanced” is to realize an advanced wireless interconnection system between the neural interfaces (read-out-amplifier and stimulator) and extracorporeal signal processing units. ComBiNE is an interdisciplinary project which is focused to bring the various high-potential approaches developed within Brainlinks-Braintools into practical use.